Published April 15, 2019 Filed under Under Our Dome, US News, Utah, Utah Main. Total of no comments in the discussion. 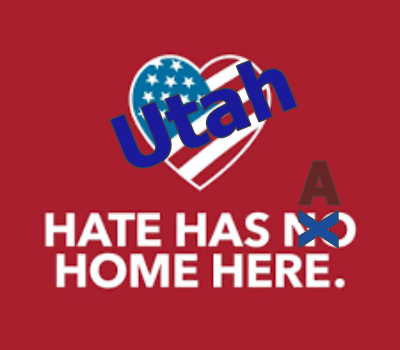 The Alliance for Utah’s Future (AUF) is a non-profit, Utah, independent coalition founded in 2018 by like-minded individuals, citizen activists, and organizations that support efforts to protect the laws, values and traditions of Utah, the U.S. Constitution and the American Dream. Our mission is to formulate and promote Constitutional public policies based on the principles of free enterprise, limited government, individual liberty, freedom, and traditional American values. We believe the principles and ideas of the American Founding are worth conserving and renewing. As policy entrepreneurs, we believe the most effective solutions are consistent with those ideas and principles. We are a voice for the people with the most to lose and we call upon our elected representatives to defend against a government that is actively working against our interests, our children’s economic prospects, and the democratic processes that we have spent over 200 years defending. We are dedicated to principled advocacy of public policies through research and public education and believe that full-time citizen participation in the decision-making processes in our state and country is absolutely essential. Our goal is to act as a watchdog over our House & Senate members, our Governor and our bureaucracy to ensure that they do not further erode our freedoms, increase the size of government, raise our taxes, increase our debt, and to stay within the proper role of government as defined by the U.S. Constitution. AUF believes that our Legislators should get the recognition they deserve for the record number of bills passed during the 2019 Session. Very few, if any, of these elected officials advocated or publicly campaigned for those bills and the opportunity to bring B and C radioactive waste into Utah or amend our U.S. Constitution. And then, they have the audacity to arrogantly attempt to tax our time and talents by pushing a service tax that they and the Governor vow to pass in an upcoming special session. Since they are so eager to take our money, liberty and freedom, we thought they would also like a piece of our mind by awarding them a “The Locust Award.” On the other hand, there are public and private individuals who work against the maddening scourge by actually representing their constituents and defending Constitutional principles and the proper role of government. Thus, “The Seagull Awards. Locusts have always been a part of Utah. They are a hungry force to be reckoned with as they travel in hordes devouring all plant material in their path. They also cannibalize any insects that die on the way, including their own species, and overwhelm predators with their sheer numbers. The greasy little bugs crawl up pant legs, munch through gardens, devour their landscapes, and even find their way into houses and cars. In 1848, the Mormon pioneers seemed to be well on their way to self-sufficiency when these pests threatened their livelihood by destroying some of the crops. According to traditional accounts, legions of gulls appeared on June 9, 1848, following fervent prayers by the pioneer farmers. It is said that these birds, native to the Great Salt Lake, ate mass quantities of crickets, drank some water, regurgitated, and continued eating more crickets over a two-week period. The pioneers saw the gulls’ arrival as a miracle, and the story was recounted from the pulpit by church leaders such as Orson Pratt and George A. Smith. 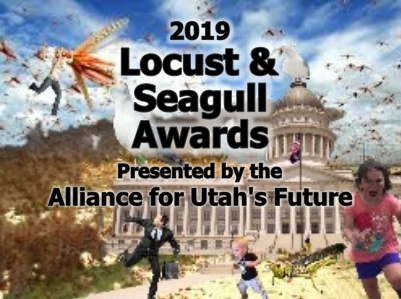 The story was that the seagulls annihilated the insects, ensuring the survival of some 4,000 Mormon pioneers who had traveled to Utah. For this reason, the Seagull Monument was erected and the California gull is the state bird of Utah. Modern day human locust predators manifest themselves as politicians and business leaders who never cease to find ways to usurp our liberty and freedom. They continually invent new taxes and fees through legalized plunder as they overwhelm the electorate with their unlimited financial and media resources. They can’t resist increasing the size of an already massively bloated government in their never-ending quest for control and power. They even make their way into our houses and cars. They are the perfect example of the power of a few over the many. They present themselves in all political parties, from progressive Democrats, moderates, Republicans in name only (RINOs,) socialists, fascists, independents and greens. Like the insects, they devour everything in their path, even each other, as they maraud through our society and our lives. They work hard to maintain the illusion that all we have is granted by them, that they always have our welfare and interests in mind, and all they wish for us is to bask in the glory of our ever-knowing and ever-expanding government whose only purpose in being is to protect and watch over us. They deserve special recognition for their behavior and a list of thanks is the least we can do. Biggest Impact by a Public Official Award – Marsha Judkins (HD61)and Travis Seegmiller (HD62). The big story of the 2019 Session was HB441, the TAX EQUALIZATION AND REDUCTION ACT, also known as Tax Modernization. That miserable speeding train would have taxed even your piano teacher next door and practically everything that moves and creates values, including your time, your gifts and talents, and your knowledge. The backstory is that the proponents of HB441 ultimately lined up 48 of the 50 votes needed to pass the massive Taxation of Services bill that would wipe out our state’s economy. It came down to just two votes between accomplishing their new tax regimen swiftly and cleanly, with a referendum-proof majority, or we would have a whole new Taxation system in our state. You can think of it as getting a $35 dollar per week increase in take-home pay but also have a $45 dollar per week increase in expenses. 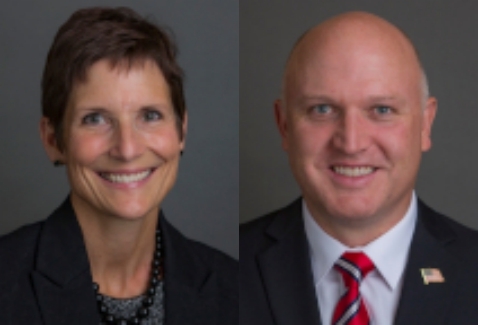 Two of the people who held-off the onslaught receive our biggest award: Travis Seegmiller (HD62), a conservative Constitutional Professor at Dixie State University, and Marsha Judkins (HD61) the brilliant math professor from Provo area. It is widely known among the Representatives that Seegmiller and Judkins were among the two Reps. who could have delivered their Taxation victory, but instead held firm WITH THE WILL OF THE PEOPLE WHO ELECTED THEM and toed the line of “No New Taxes”. Both held firm in the face of what must have been blistering scrutiny and pressure from their fellow Republican lawmakers to conform and close the deal on their gigantic tax structure overhaul with virtually unlimited unforeseen consequences. On the other side of the aisle, the Democrats didn’t want HB441 because it included a decrease in the income tax rate (see Seegmiller’s bill HB 299 Tax Changes). They literally thought that it didn’t tax enough and naturally refused to budge. Most of our Republican lawmakers self-identify and campaign as a “Conservative”, yet vote to raise taxes and increase government as a Progressive Democrat. Regardless of the Dem’s reasons to oppose the bill, their action helped the conservative cause more than the so-called conservatives did. Bizarro Utah – A world where everything is the exact opposite: Wrong is right, logical is illogical, giving is taking, insanity is sane, liberty is tyranny, and vice versa. Instead of HB441, the legislature passed a bill to create a study group to carefully study the “tax structure imbalance”, listen to citizens statewide, and to then bring back a new tax proposal this summer. A lot rests on that group, and members of the Interim Revenue and Taxation Interim Committee, doing good work. There is no reason why our taxes need to be increased every session. The 2018 session saw the biggest tax increase in Utah’s history and a special session was called last summer to increase them again. This is not the hallmark of “the best-managed state in the union” that the Governor and Legislators often take pride in saying. And, we never hear them talk about Utah’s debt of over $16,576 BILLION, over $5,207 per citizen. This was another smoke and mirrors approach from those fine folks on the hill. Instead, they should return the excess and along with that maybe they need to reduce the wages in which they are paid. And for anyone that is curious…the elected officials voting for this may be considered “servants to the people” but their checks are NOT legally categorized as being in the service industry so their income won’t change. Acting like it’s a “choice” to use a service is misleading. We ALL use a huge variety of services and many of us provide those services. This is a tax on our TIME. Not a thing, not a product, not a consumable item or something that will end up in a landfill, and not something that has to be trucked in on a road adding to pollution and road wear. There is no expense to the state for service providers selling people their time. The Governor has been pretty clear that he wants to maintain momentum on tax reform and wants new money. He was the guy who got this whole thing going. Herbert told the Deseret News he’s confident “we’ll have a special session sometime this summer and get this thing completed.” The mainstream media is treating tax modernization as a fait accompli. Few people in modern history, if any, have done as much to preserve our freedom as Dave Bateman, CEO of Entrata. His selfless efforts to rescue the Utah Republican Party from overwhelming debt, corruption and mismanagement sets him apart as a freedom fighter. Additionally, Bateman founded the nonprofit Keep My Voice, which advocates for the protection of Utah’s Caucus-Convention System. Bateman also agreed to fund the future costs ($500,000) of bringing the lawsuit to the United States Supreme Court. In so doing, he mounted a significant opposition to Utah’s establishment and ultra-rich oligarchy. For years, the UTGOP was little more than a tool for the ‘Utah Goodfellas’ to remain in power. However, the losses of Chris Cannon in 2008 and Bob Bennett showed that the grassroots efforts wanted to take the Republican party in a different direction, largely through Utah’s Caucus system. In response, wealthy donors and LEADERS of the Republican Party were responsible for SB54 (Count My Vote) and, along with Utah’s mainstream media, have used the party debt as a club to beat up the party and force them to do their will for years. The media is squarely behind the effort to destroy the Caucus-convention System because they have everything to gain from its demise. For his efforts, Bateman was constantly vilified by public leaders and the media as they viciously attempted to assassinate his character and destroy KMV. 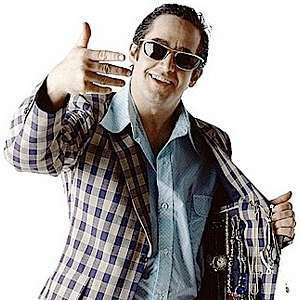 The most egregious act came from a sitting Utah State Senator, Todd Weiler (SD23), who attempted to extort and control Bateman by offering Bateman’s girlfriend $1,000,000 to convince her to alter her behavior and bring sexual-harassment allegations against him. Instead, she warned Bateman that political figures in Utah were trying to do him harm and get her to sue him. The sordid tale is documented in a report: New Evidence Released About Senator Todd Weiler Extortion Attempt. All of the other efforts backfired also. Instead, it can easily be argued that Bateman’s love and courageous defense for the caucus system and the freedoms we enjoy were the inspiration for the largest grassroots uprising in Utah’s modern history. Over the past year, thousands of Utah citizens simultaneously felt compelled to stand up and do what they could individually do to protect their own freedoms and the right to control their own destiny. There was little organized effort beyond the SCC’s “Gang of 51” and the Keep My Voice organization, neither of which existed 15 months ago. There are not enough words to describe the debt of gratitude that we owe to Dave Bateman. We show our appreciation by standing beside him and leading our own battles against those who would usurp our liberty and freedom. At the recent KMV Awards, Bateman received their highest honor. Rather than accept it, one of the most poignant moments came when he gave it to Layne Beck who began the legal battle against SB54 four years ago and has taken a leadership role ever since. Because of who Dave Bateman is, we suspect that he would want to pass this award on also. But, he’s getting it whether he wants it or not. Thank you Dave. Thank God for Dave. Rep. Cheryl Acton (HD43) for passing her amazing Pro-Life bill, H.B. 136 Abortion Amendments, a Utah first and national leader. This bill defines terms, prohibits an abortion from being performed after the unborn child reaches 18 weeks gestational age except under certain circumstances, modifies the circumstances under which an abortion may be performed after the unborn child reaches 18 weeks gestational, and modifies provisions that require a physician to report certain information to the Department of Health relating to an abortion. Deidra Henderson (SD7) was the floor sponsor. Rep. Karianne Lisonbee (HD14) for sponsoring HB 166, also known as the Down Syndrome Nondiscrimination Abortion Act. The bill protects unborn babies with Down Syndrome from abortions and would prohibit women from getting abortions after a pregnancy screen indicates that their unborn child has Down syndrome. The bill includes provisions that specify what Down syndrome is and require the state Department of Health to create an informational sheet and webpage to inform parents about the disability. Pro-Life Utah (PLU) has led Utah’s pro-life grassroots movement and was founded upon the idea that people from different faiths and backgrounds can work together to secure and defend the fundamental right to life for society’s most vulnerable members: unborn babies. Additionally, they work to provide women with the resources necessary to choose life or to provide healing and support for those emotionally wounded by abortion. Everyone that is touched by an abortion decision is harmed. In addition to the mother and child, fathers, extended family, and abortion clinic employees are also victims of abortion. PLU is committed to peaceful, loving and non-judgmental approaches to promote a culture of life, love and healing. The ‘Gang of 51’ can be credited with saving the UTGOP. They formed after disgraced Chair Rob Anderson’s epic display of incompetence and/or manipulation as Chair at the Sept 9, 2017, UTGOP State Central Committee (SCC) meeting. His performance left many SCC members stunned and shaking their heads. Some of those abuses of power, and infringement, on the party’s rules and Constitution could have caused his censure and/or removal on the spot. In increasing numbers, SCC members were beginning to feel that they were deceived by a chairman they believed they elected to protect the Caucus System, defend the SB54 lawsuit, and pay off the legal fees owed by the Party. 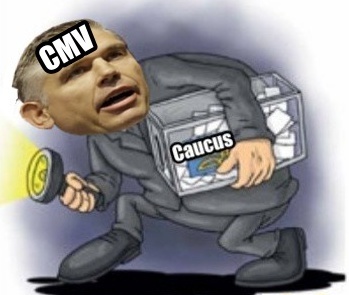 The evidence over the next few months became overwhelming that the UTGOP was duped into electing a Count My Vote (CMV) ‘stooge’ to head up the party instead of the caucus defender that he claimed to be. After the meeting was adjourned, the reporters spoke to Anderson and a few other people. The reporters informed one of the SCC members that Anderson said he could end the lawsuit against SB54 without SCC approval. Twice, under different SCC members, the party had voted to continue the lawsuit if no party funds were used. Anderson’s comments greatly concerned many of the SCC members when they heard it, so they quickly gathered and 53 of them signed a letter stating that the SCC is the governing body of the party, etc. Anderson referred to the signers as 53 rogue SCC Members. Since, Anderson and his dwindling number of associates, including Governor Herbert, have done everything they can to bully and intimidate the signers of the letter. The events of that meeting, along with Anderson’s duplicity about CMV and his apparent unwillingness to resolve the debt problem, caused 51 SCC members to call for a special meeting on 12/16/2017. Anderson had threatened to drop the SB54 lawsuit because of mounting party debt and knew that 90% of the SCC members voted to have a committee to address the debt and allow him to get other things done (like planning for the caucus). Anderson had said in a budget meeting that if the party was not out of debt by Jan 15 he would take the UTGOP into bankruptcy and reorganize the party. Forces in party leadership positions were doing everything they could to ensure that happened and there is evidence that the destruction of the Republican party was planned and has been in the works for a long time. The simple fact is that the leaders of the Utah Republican Party are responsible for CMV and were crying to end the suit, knowing that they could very well lose. Anderson and the GOP staff pulled out all the stops in an effort to sabotage the meeting by falsely asserting that the meeting was unnecessary, improper, illegal, and canceled. Those efforts included bullying and harassing party members, using false rules information, attacking the Secretary for doing her job, robocalls and personal calls to not attend the meeting, and encouraging a standoff. It was clear that Anderson not only targeted SCC members, but anyone (thousands) for whom they had e-mail addresses. Anderson also directed the GOP staff, in open violation and defiance of UTGOP Employee Policy Guidelines, to take screenshots of SCC members Facebook and Twitter conversations. The 12/16/2017 meeting meeting addressed the 2018 Caucus Plans, Rules and Delegate Allocation that Anderson had ignored, and Dave Bateman’s offer to pay all past and future expenses relating to the party’s continuing support for the caucus system and their opposition to the SB54 “Count My Vote” lawsuit, then awaiting decision from the 10th Circuit Court of Appeal. That legal debt of $360,000 and the future costs could run as high as $500,000 and force the party into bankruptcy. A resolution agreeing to the deal with Bateman was passed unanimously by the 70 credentialed SCC members in attendance. On Jan 11, 2018, Anderson announced, and took all the credit, that an agreement had been reached with Dave Bateman to extinguish the party’s debt and future costs relating to the litigation of the SB54 election law. But, in a stunning reversal, Anderson flipped on his decision 2 days later to proceed with his agreement. Most members of the GOP State Central Committee (SCC) were shocked to learn of Anderson’s duplicity, defiance, and maneuvering to end the lawsuit. Anderson’s action came down to his apparent, intended results of that very salient issue which the appeal of Count My Vote was fighting: pretending it to be an issue of cost…when, in reality, it was an issue of subversion. Anderson failed to look at Robert’s Rules and also conducted an unauthorized and costly unsuccessful witch-hunt against Party Security Lisa Shepherd. Shepherd became Anderson’s pin-cushion and was subjected to continual harassment from Anderson and GOP staff during the past 18 months for doing her job and should be commended for her dignity and ability during the onslaught. Anderson was also accused of violating UTGOP bylaws, and FCC rules, for possible money laundering for failed candidate Tanner Ainge. Anderson was finally censured at an SCC March 2019 meeting for abusing his authority, neglect of duty, and misrepresenting party officials by altering (forging) documents that contained their signatures. An SCC Investigation Committee released a 40 page report that found “ample justification to remove the chair from office.” Instead, they recommended censure. Anderson has since declared that he will not be seeking reelection as Chairman. 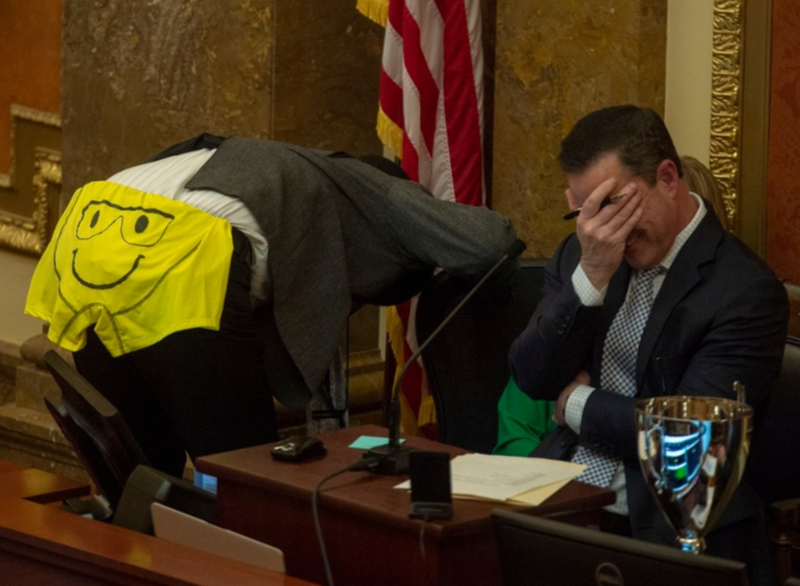 Anderson’s behavior and the response by the ‘Gang of 51’ over the past year have been well documented in a Report: Report: ROB ANDERSON: The Face Behind the Mask and in other articles found at Utah Standard News’ Under Our DOME – Utah Policy & Politics. Keep My Voice (KMV). KMV is a non-partisan, non-profit group that advocates for Utah’s caucus-convention election system. It was launched in 2013 by local Utah citizens concerned with Count My Vote’s flawed initiative to eliminate the caucus system and the subsequent unconstitutional Senate Bill 54 passed at the state legislature. Their mission is to educate Utah voters on the value of a caucus-convention system, strengthen and improve the caucus-convention process, pursue legislative measures to repeal Senate Bill 54, support political leaders that are pro-caucus, and promote measures that protect voters’ constitutional rights, including their Freedom of Association ballot initiative. KMV believes that changing Utah’s election process to a direct primary, already unsuccessfully tried in Utah (1937-1947), would lead to elections favoring big money, big name candidates and remove local control. The current election system has a balanced vetting process that includes neighborhood caucus meetings, nominating conventions and a primary election, with an alternative independent path to the ballot and a general election. This system allows anyone to directly participate in the democratic process and levels the playing field for candidates running for office. States, such as California, that have implemented a direct primary election system are among the worst managed states in the nation. In contrast, Utah is one of the best-managed states thanks to a proven process that keeps elected leaders accountable and close to the people. KMV led the effort to bring SB54 before the Supreme Court and defeated the fraudulent signature gathering CMV ballot initiative. What started as an effort by the ultra-rich to usurp and subvert the will of Utah’s citizens has now grown into a national concern with broad support. Utah Sen. Mike Lee, Sen. Ted Cruz, Rep. Raul Labrador and Rep. Rob Bishop supported the SB54 legal challenge as have the U.S. Pastor Council and the Christian Life Center. Other supporters include The Eagle Forum Educational & Legal Defense Fund, Judicial Watch and Allied Educational Foundation, the Pacific Legal Foundation, Cato Institute and the Freedom Partners Chamber of Commerce. Proper Role of Government Award – HJR014, JOINT RESOLUTION TO HARDEN THE UTAH AND UNITED STATES ELECTRICAL GRIDS. 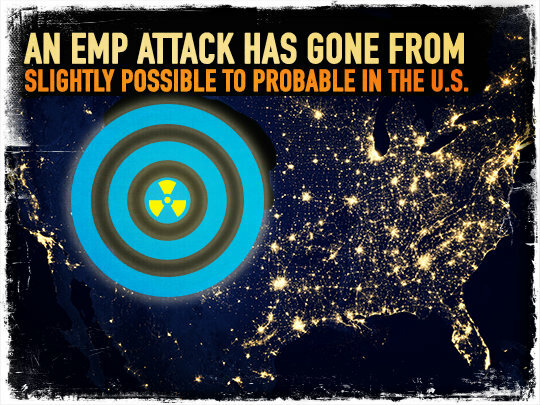 This joint resolution wants to protect all the citizens of Utah from the horrors of an unmitigated EMP solar event or nuclear attack. It encourages Utah’s state and congressional delegations to continue supporting legislation and practices that enhance electrical grid security against natural, accidental, or intentional occurrences, including disruption from electromagnetic pulses that could potentially interrupt reliable electricity services. It’s nice to see some love redirected back at taxpayers in the form of protection instead of just the never-ending shakedown. Providing for the common defense and general welfare is a proper role of Government. It’s what America used to do before we became a welfare state. The Federal Gov’t has so far failed to do its duty here and it’s great to see these legislators leading the way and getting unanimous votes in the House & Senate and cooperation from the electric utilities. Maybe next year we can advance this bill with $$ behind it to turn wrenches. Stand Your Ground Award – Rep. Karianne Lisonbee (HD14) for standing up to the life-threatening attacks and threats she faced when she tried to make the HB 399 Conversion Therapy bill work for all Utahns. 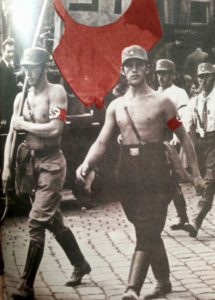 Brown Shirt Award – Brown Shirts were soldiers in Hitler’s storm trooper army, SA during the Nazi regime. They were called this because of the colored shirts they wore. They opposed human rights and freedom and their primary purposes were providing protection for Nazi rallies and assemblies, disrupting the meetings of opposing parties, and intimidating their opposition into submission. This is awarded to Equality Utah and others for the repercussions against House members who expressed opposition against the conversion therapy language (HB 399) not passing and other LGBTQ issues. Rep. Karianne Lisonbee (HD14) had to evacuate her family from their home under the cover of police protection due to angry threats. She was sobbing on the House floor during the Hate Crimes debate because she was a victim. The hate bill passed the House after being amended to also enhance the criminal penalties for hateful acts attacking “Political Expression”. It is alarming that we are now punishing people based on what we think someone thinks. Other House members have also been on the receiving end of nasty vitriol from this specific audience of disenchanted people. Their strategy includes trying to harass legislators out of office, such that the Cost/Benefit analysis of whether to remain a Legislator no longer makes sense to the lawmaker, due to the hate and anger and disturbing vitriol that pours down upon those who dare oppose the far left radicals. The LGBTQ community is carefully organizing against these reasonable conservative leaders and using whatever means and mechanisms necessary to guarantee that they could never be reelected. Whether their tools be Character Assassination, Reputation Pillaging or Personal Threats to Life and Limb…..they will stop at nothing to destroy those who oppose their agenda. The details of harassment against their families are ugly and we must rally around those lawmakers who are the Standard Bearers if we want them to stay in office because the opposition is grand in scope and ugly and fierce. The problem with the conversion therapy bill was that it was branded and marketed as being against electrocution-shock therapy of minors. Equality Utah went to great lengths to line up enough supporting votes but then the bill actually went way further and banned all sorts of therapies (not just shock therapy) that seek to help the minor retain their original gender, or etc. Shock therapy was the trojan horse used to crack open the whole social system, and most were angry about it. This is such a sad commentary on the true state of the heart of the players here. EU would not negotiate in good faith and then they bitterly complained when they didn’t get the outcome they desired – even though the outcome was indeed major progress that moved the needle in the right direction. House members hope they will have the chance to try and peel away some of those overreaching provisions to turn it back into a shock-therapy-only bill. In sum, Equality Utah asked for too much and sank their own ship and has become an arrogant and destructive force in Utah politics. 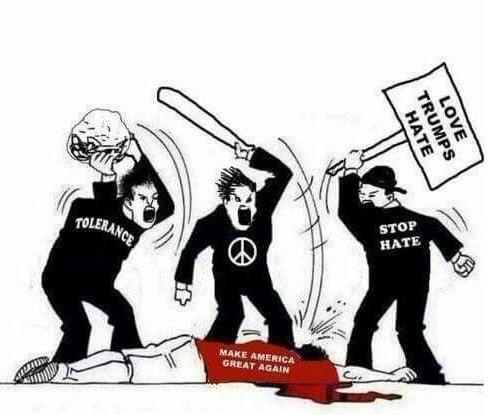 It is ludicrously ironic that the people who were dishing out the hate were the same ones begging to give them a customized hate bill that protected them but no one else so they could keep hating, but nobody else can hate them back. Liberals are without a doubt the most hateful, bigoted, intolerant and violence-prone people in this country. They are all the evil things they claim we are but are not. Con of the Year Award – To con someone is to deceive or take advantage of a person through fraud or trickery after winning the person’s confidence. The following is a brief summary of Bliss Tew’s nomination for this award. His detailed and very informative report can be read by clicking here. “Utah State Sen. Evan Vickers (SD28) and Rep. Merrill Nelson (HD68) have both perpetuated a Con, a Con of the Con-Con (Constitutional Convention) as a supposed solution to use to rein the federal government back into compliance with the Constitution. Vickers and Nelson were able to gain acceptance of SJR009 JOINT RESOLUTION CALLING FOR A CONVENTION TO AMEND THE UNITED STATES, by convincing a majority of the members to believe the same con they swallowed. Supposedly, the Supreme Court’s case law has already rewritten our Constitution. The Supreme Court opinions have supplied the “Annotated Constitution” that is held up in legislative hearing by proponents for triggering the Constitutional Convention under the Constitution’s fifth article. While none of us have ever seen our incoming U.S. Congressmen, or U.S. Presidents, or even State Legislators in the 50 States swear their OATH OF OFFICE to the “ANNOTATED CONSTITUTION OF THE UNITED STATES,” those proponents claim that the “annotated constitution” is the constitution followed by Congress, and its annotations supplied by the Supreme Court decisions claimed to be now the law of the land. Are such court decisions and opinions the law of the land or the law of the case that the court heard? Misapplication is not law and the Founders didn’t intend for the Court to be the lawmaking body of the federal government under our Constitution. We need to enforce the oath of office our Congressmen take and help them understand that they took an oath to the Constitution, not the Annotated Constitution and that it is our Constitution they are to protect and enforce, not dictates from the Supreme Court for a case that was before it. That is a perversion of our legal system under the Constitution. We need Utah’s legislature to recognize two mistakes and to rescind HJR007 (2015) and SJR009 (2019) that are applications aimed at triggering the calling by Congress of the Convention under the provisions of the fifth Article of the Constitution. Changing our Constitution wholesale and unpredictably at the Convention is not the solution to reining our government into compliance with existing Constitution. Instead, it would mean never enforcing our existing Constitution. Sure, America is in trouble, as Senator Coburn claimed, but changing the Constitution isn’t the remedy for curing that trouble, nor is lying about his and his friends desire to Change the Constitution. He’s not about restoring the Constitution by triggering a convention to propose amendments. Isn’t he really about opening a convention specifically for the purposes of proposing changes (amendments) to our Constitution under the provisions of the fifth article of our Constitution? So why say he’s not for changing it? This kind of testimony to legislators is fraudulent, but did the Kansas legislators who heard him know that before they made their choices? Crony Capitalist Award – EnergySolutions, LLC.Crony Capitalism is an economic system in which family members and friends of government officials and business leaders are given unfair advantages. It is a practice that allows for preferential regulation and other favorable government intervention based on personal relationships that allow businesses to thrive not as a result of risk, but rather as a return on money amassed through a nexus between a business class and the political class. This is done using state power to crush genuine competition in handing out permits, government grants, special tax breaks, or other forms of state intervention. EnergySolutions (ES) more or less ran their own legislation. The bill, HB220, Radioactive Waste Amendments, effectively eliminates the current ban on the disposal of class B and C radioactive waste in Utah. The bill obviously intended to ignore public safety, health, and state law, to accommodate ONE private business interests: EnergySolutions, LLC. “HB220 gives the Director of the Division of Waste Management and Radiation Control Board (DWMRC), a political appointee, the authority to permit the disposal of waste that wouldn’t be allowed under the state’s current class B and C radioactive waste ban. Further, HB220 would allow radioactive waste to be classified solely at the time of disposal rather than based on the potential long-term impacts of waste storage. This would have the greatest impact on the classification of unique waste streams, such as depleted uranium, that INCREASE in radioactivity over time.” See here. It seems ludicrous that anyone would vote to stockpile tons of VERY DANGEROUS Depleted Uranium from Kentucky and Ohio which will be trucked over our roads and railways right through the very heart of Utah. The bill passed with little opposition and was allowed by the Governor to become law. There was just so much illogical support for HB0220 that there must be a back-story. Why would a handful of people put up a huge fight to get this makes-no-sense law passed? Why would EnergySolutions spend millions to have their name plastered on the most visible event center (currently the Vivint Arena) in the state from Nov. 20, 2006, until Oct. 27, 2015? The company doesn’t offer any service to the average consumer and sells nothing. There is no comparison to the Mercedes-Benz Arena in Atlanta or American Airlines Arena in Miami or even the Maverik Center in West Valley City, that all attempt to generate good-will and advertise their products. When we compare the Clive facility to other nuclear waste disposal sites in the U.S., we gain some perspective toward understanding the egregious and severe irresponsibility that our lawmakers and the Governor have displayed. In 2010, President Barack Obama shelved the Yucca Mountain, NV project saying nuclear waste should be stored in a state that wants it there. That left American utilities and the United States government, which currently disposes of its transuranic waste 2,150 feet below the surface at the Waste Isolation Pilot Plant in New Mexico (NOT ON THE SURFACE 30′ ABOVE WATER). The nation has no designated long-term storage site for the high-level radioactive waste currently stored on-site at various nuclear facilities around the country. By 2008, Yucca Mountain was one of the most studied pieces of geology in the world. Between geologic and materials science studies the United States had invested $9 billion on the project. The Total System Life Cycle Cost presented to Congress in 2008 was $90 BILLION. How much has EnergySolutions and Utah invested and what is the Life Cycle at Clive? No one knows. Spent fuel is currently being stored at nuclear power plants in 121 communities in 39 states because no repository has been developed for its permanent disposal. The House voted 340-72 last June to direct the Department of Energy to resume the licensing process for the facility in Yucca Mountain. So, there is a good chance that Yucca will be revived and therefore there will be no need to store that catastrophically dangerous waste in Utah. A state without a single nuclear power plant should not have to shoulder the nation’s nuclear waste burden. Head in Sand Award – Unwilling to recognize or acknowledge a problem or situation by burying their heads in the sand when frightened, so as to avoid being seen and pretending that the unpleasant realities, possible dangers, etc. do not exist. Rep. Carl R. Albrecht (HD70) and Sen. Scott D. Sandall (SD17) for their sponsorship of HB220, Radioactive Waste Amendments. Their bill effectively eliminated the current ban on the disposal of class B and C radioactive waste in Utah. One has to ask why Albrecht, from Sevier County, would sponsor a bill that benefits one specific company based in SLC who has a facility in Grantsville (176 miles away). For more background on this, see our Crony Capitalist Award. Holier Than Thou Award – This award goes to a person who is obnoxiously pious and marked by an air of superior piety, self-righteousness and smugly moralistic while intolerant of the opinions and behavior of others. Senate Majority Leader Evan Vickers, SD28 (Beaver, Iron & Washington Counties). Vickers sponsored Senate Joint Resolution 9 that called for an Article V Convention of the States to amend the Constitution of the United States. Constituents flooded his office with letters expressing their concern and dissent which he mockingly pieced together into a cape along with a matching crown to finish the ensemble. He declared himself King Vickers and wore it on the Senate podium and floor. When asked about whether or not anyone had found his donning the “coat of blue notes” to be an inappropriate move, Vickers said no one had and that his colleagues actually thought it was pretty funny. They laughed and applauded right along with Vickers. Those legislators are complicit and their conduct is appalling. These jokers think that they are the men to trust with our Constitution!! Vickers called for the Constitutional amendment after he swore an oath to the Constitution of the United States and the Constitution of the State of Utah, and to discharge the duties of his office with fidelity. Vickers and some of our legislators call their constituents who elected them “cave dwellers” if they utter the word Constitution. They do this openly and laugh about it after we elect them to office. Vickers visited St. George in 2017 when Rep. Ken Ivory, R-West Jordan gave a presentation supporting ArtV at the Dixie Center. At the time, he was joined by local legislators such as Don Ipson and Lowry Snow. Ipson has admitted openly they don’t read the bills but vote how they are told by the leadership. SJR9 wasn’t afforded a fair hearing and The ArtV Con-Con has yet to be debated on the floor. They allowed only one side of the debate on the Convention of the States resolution to occur before they voted using shenanigans and tricks.18 states had hearings where those in support and opposition had sufficient time before legislators to build their case and testify to their elected officials. This has NOT happened in Utah. They don’t need to rewrite the Constitution – they need to actually READ it, adhere to it and live up to the one we have when they take their oath. They blame the document instead of themselves for all of the deception and expansion of government going on. We have to clean the Utah Swamp and this is a good place to start. Representatives like Vickers and his ilk should be shown the door. When men mock the very citizens that they claim to represent, and then crown themselves king over the welfare of those citizens… we have already lost our representative government. We have no need of closet liberals that clearly ignore the voice of the people! They are what our Founding Fathers cautioned us about! 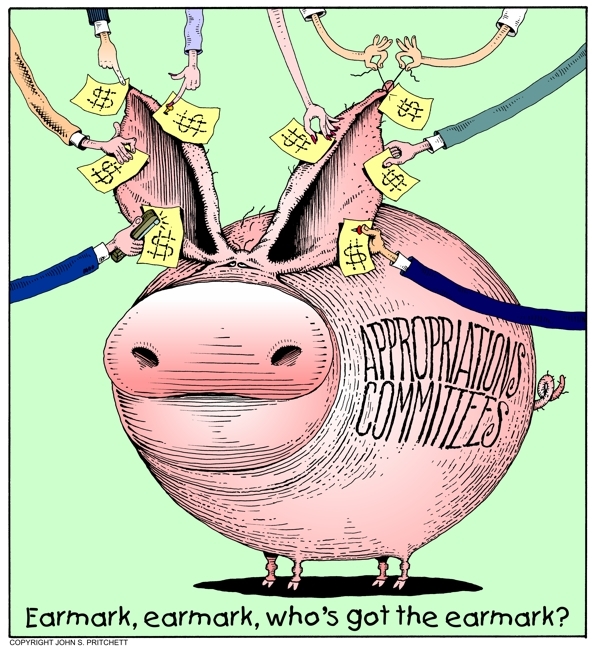 Porker Award– Resourceful Utah Capitol Hill porkers continue pursuing ways to get their pet priorities funded in support of pork-barrel earmarks that are chock full of waste and corruption in connection with the practice. The Grand Prize goes to the proposed Hatch Center for asking $1.5 million for the Orrin G. Hatch Foundation’s plans to erect a building that includes a replica of Hatch’s Washington office. They had sought private money for the project but asked the state for a contribution toward the $40 million cost for his self-aggrandizement. The request was denied but the arrogance is noted. Hatch has been called the “Most Corrupt Politician in Utah’s History.” His activities are well documented in a report written by former FBI & Utah Attorney General Investigator Wayne Wickizer: Report: HATCH INC. “…ye Generation of Vipers. Very few have loved us less but pretended to love us more. $500,000 for the Sundance Film Festival. The legislature is also spending money to study how much of a workload the legislature has. See SB3 for more info. Whiner of the Year – A whiner is a person, especially a child, who complains or expresses disappointment or unhappiness repeatedly and snivels or complains in a peevish, self-pitying way. Troy Williams, the executive and/or public policy director of the LGBTQ rights group Equality Utah for resigning with great fanfare from the governor’s Youth Suicide Task Force over changes to a bill banning conversion therapy. He sent a letter to Governor Gary Herbert, Lt. Governor Spencer Cox and Rep. Steve Eliason, that was also shared on Twitter and emailed to the Equality Utah mailing list. 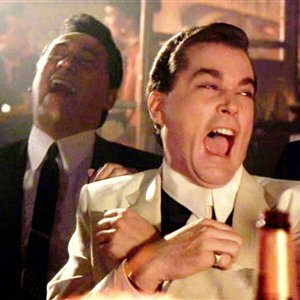 EU would not negotiate in good faith and then they bitterly complained when they didn’t get the outcome they desired – even though the outcome was indeed major progress that moved the needle in the right direction. After he resigned, Williams took a position with the Salt Lake City prosecutor’s office…hmmm. Totalitarianism Award – Our lawmakers failed to pass “Red Flag” snitch laws that would violate due process to annihilate what’s supposed to be our 2nd Amendment Government protected natural right. This was cloaked as saving lives and was the third year in a row that they tried to pass it. Rep. Stephen Handy’s (HD16) bill allowing someone to petition the courts, with a request from a family member, to take guns away from a possible suicide or violent person didn’t get anywhere. Rep. Elizabeth Weight’s (HD31) bill to make it a crime to not safely store your firearm was quickly defeated in a House committee. So was Rep. Joel Briscoe’s (HD25) bill to ban guns within 500 feet of a school. A bill sponsored by Rep. Susan Pulsipher (HD50) to fund a study on violence (including rampage violence) didn’t get anywhere in the legislature. Neither did a bill to ban bump stocks run by Rep. Patrice Arent (HD36). A bill to alert police if someone with a protective order against them bought a gun also failed to get traction. And, a resolution declaring that Utah should enforce the gun laws it has rather than enact new ones stalled in the Senate. The “Utah “Goodfellas” are an unimpeded power elite enjoying a bottomless cornucopia of unprotected spoils and an aberrant, arrogant progeny of a fractured political system. They are conceived, nurtured and operate far removed from the original intent of the framers and founders of this Nation. They have subverted the “Rule of Law” and ravaged Benjamin Franklin’s vision and the proposition that we could enjoy a “… republic if we could keep it.” The Goodfellas have infiltrated, permeated and presumed the right to manipulate every aspect of business, media, industry, finance, education, entertainment, law, and religion in Utah by taking over and controlling business associations, corrupting non-profit organizations and by creating a wide range of front groups. Smelly Fish Award – Rep. Brad ‘take their last cent’ Last (HD71). Last is a state employee employed to raise money for Dixie State University as his full-time profession. He is also a paid legislator and a member of the Executive Appropriations Committee, Public Education Appropriations Subcommittee and the House Education Committee. In 2018 alone, DSU lists $37,131,561 from State Appropriations. This year, $54 million was granted to fund a new science center at Dixie State University that they don’t need. Smells a little fishy to us.